If there is any room in your home that is bound to be messy, its your bedroom. It could be because you do not have enough available time to tidy up or because you have got so many clothes with only a small wardrobe to keep them in. Whatever the reason is for the mess, an untidy bedroom with clothes on every spare surface doesn’t look fantastic, & wastes precious time getting ready too. Fitted bedroom wardrobes can be an elegant solution to the issue of clutter, enabling you to store your clothes, shoes, handbags, ties & more away in an orderly fashion so it can be easily found by you when you want it, leaving the floor clear so you can walk freely on it. The whole appearance of your bedroom can easily be changed with the correct fitted wardrobe, & you can create a calm & restful ambience perfect for getting a good nights sleep. 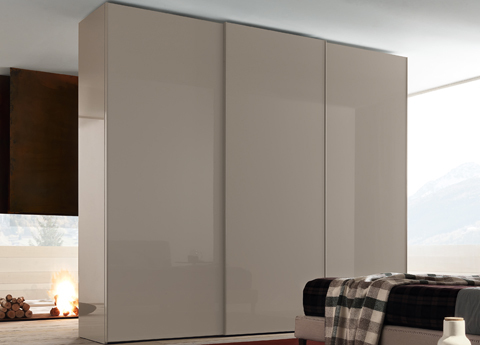 Wardrobes from Jesse furniture are some of our most popular, so the release of 5 new affordable models is very good news indeed. All 5 have doors with a ‘polimeric’ coating rather than the usual lacquer, glass or wood veneer & come in only five finishes over the whole range (white or Corda gloss, white or Corda matt, & ‘Tree’ in white or Jesses matt lacquers). The doors & cabinets can’t be cut & filler panels aren’t available, so they are not fitted wardrobes, but other than that its business as usual with plenty of size options & full compatibility with all of Jesses internal wardrobe accessories. At a great price! To see our wardrobes click here. 20% off our aluminium garden furniture! We have teamed up with the Italian manufacturer of our aluminium garden furniture to offer a 20% off the whole collection until 30th April. This is the first time we have been able to offer such a great discount, as our prices are always fair to begin with, so now is the time to grab a bargain! Just use the code blog20 online (& dont forget to ‘enable’ your profile when registering), or mention this blog when phoningg or visiting.